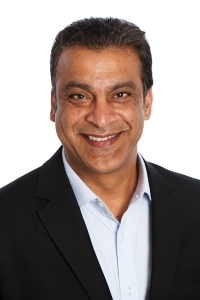 Hydropower Technologies, Inc. is pleased to announce that is has appointed Karim Kanji as Chief Executive Officer (CEO) of Hydropower Technologies, Inc. and will join the Board of Directors, effective June 8, 2015. “After a thorough and deliberate selection process, the company is delighted that Mr. Kanji will lead HPT as we navigate through the evolving and expanding landscape of clean energy” said Grant Sanders, Chairman of the Board of Directors. Karim has over twenty five years (25) of vast experience in senior executive roles and management, most recently with Lumen Dynamics Group as President and CEO and previously with Seals Ltd, Clinicare/Chartcare as President and CFO and Siemens Canada as Vice President of Profit and Loss Responsibility and General Management. He holds an MBA (Royal Roads), EMBA (Duke University) CPA and CMA (Ontario Chapter) and LLM (York University, Osgoode Hall Law School). “With a comprehensive understanding of the needs of the company, Mr. Kanji is ideally positioned to take HPT to the next level, and we have no doubt he is the right person to take the helm at HPT”, according to Dave Montgomery, Chief Operations Officer (COO) at HPT. Building on Karim’s vast experience across multiple resource based industries and the momentum of his successes; he brings his A+ game of entrepreneurial leadership, affability, strategic clarity, driven innovation and growth to ensure disciplined execution and deliver results and shareholder value. Mr. Kanji said “I am delighted to work with the HPT team and the opportunity to bring a global focus to HPT’s overall business model and the development of the technology is very exciting”. The Board of HPT believe Karim’s passion for technology will help ensure HPT delivers technology that has a positive impact on people’s lives and enhances shareholder value and profit. Mr. Sanders who has been serving as an interim CEO for the company will return to focusing exclusively on his role as Chairman of HPT’s Board of Director’s as of June 8, 2015.